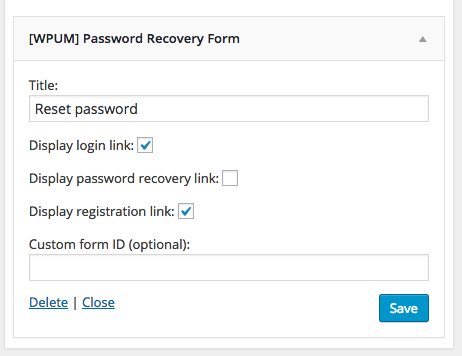 The password recovery form widget allows you to add a form into a widgetized area of your theme that allows your visitors to reset their password if they have forgotten it. The widget will send an email to the user with a link to your password recovery page previously set up. The widget can be configured in a few different ways.